I’ve met a good number of people who are doing well in business, but mostly in the Health and IT industries/sectors. When they would ask a question to me, I knew that they expected an answer that is not a ‘no’. And as it was my first times hearing a response back from people like this, my mind totally went blank. And then whilst I was spaced out they would pepper me with variations of ‘why’. Of course I shouldn’t lie at this point. Because to do so would be a consequence especially on my part. If you make some excuse saying that you’ve got no time, no budget, or that it’s impossible, then you are just creating even more trouble. The trick here is that if you have nothing good to say, then just keep quiet and stare blankly at their face and wait for them to respond back after you have realised that you have no more excuses left. There shouldn’t be any excuse made in the first place! This is what makes being the field of business very different from a mock-up of the Apprentice. In that you are dealing with the most realistic situations that if your boss for example couldn’t answer these questions from their investors or colleagues, that they too would feel embarrassed for might having to make up excuses. Yes, you can use white lies for personal security purposes, but in business where reality must set in, there is literally no room for excuses. There is a business operation in place and you will need all the details in place to make it work. To answer the ‘why’ and ‘how’ to get something working. We’re human beings and through the power of consciousness and being able to improve our reality, we’ve evolved for greater thinking. The next part of greater thinking is enlightenment — realising that you were better than you were before! And its excuses that stop us from attaining progress, since they are laziness, for the lack of a better word. 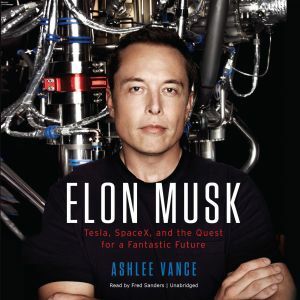 I’ve been going through an amazing book of the biography of Elon Musk, by Ashlee Vance. Undoubtedly one of the best books for entrepreneurship as Elon Musk went through crazily tough times — difficult to replicate circumstances so worth the read for the moments! If you like learning from tough minds and rare moments without the need to replicate the learning times, read this book now! It’s the series of events that have wound up to Elon Musk selling Paypal at around $120M, and using this money along with venture capital to build up Tesla and SpaceX and later on SolarCity. It’s one of the best examples of limitlessness and business with engineering too! Elon Musk instructs one of his great colleagues Davis at SpaceX to build a gimbal actuator. The usual quote is known as $120,000. But Elon Musk said that it’s no more simple than a garage door opener, so the budget is $5,000. That’s why Davis went nuts. But after 9 months on something that was once thought impossible given the budget, Davis amazingly only spent $3,900! And that’s just one of the many times Elon Musk understands it’s never impossible. Many of Elon’s employees know him for no excuses at all. It’s just a matter looking into the feasibility of the project! This applies to all industries. It’s a simple concept for success, since it is facing reality rather than wishfully thinking it wouldn’t work. Now that just sounds absurd to wish for something not to work! If you’ve enjoyed this post you’ll want to see Part 1 as well. Please see here to read Part 1 of this ‘Limitlessness’ series. Also, check out my other posts related to Productivity for more articles like this. Next up: Limitlessness Part 3 here.